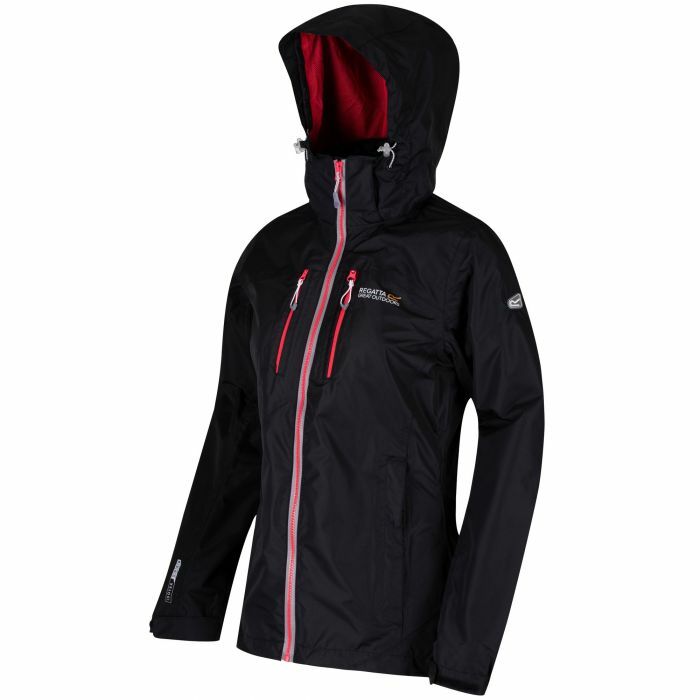 Our Women's Calderdale Jacket - loved year-on-year, this classic ISOTEX 5,000 rain shell protects, moves and breathes in the hills and mountains. waterproof / breathable polyester with sealed seams and an additional DWR (Durable Water Repellent) finish delivers reliable wet weather protection. Comfort features include: a lightweight, soft-touch lining, an adjustable hood that rolls down and packs away with a neat design, adjustable hook and loop cuffs and an easy adjust shockcord hem. With multiple pockets, including one for your map and the Regatta print on the chest. Service: The person on the phone was friendly, efficient and helpful. I have bought items from Hawkshead before so I know they have quality stuff, the sandals are refusing to wear out, even tho they are so comfy I wear them all summer, for the last few years, by post by phone Hawkshead are winners. Product: Does what it says on the label, keeps wind out and since I bought it we have had bad weather, so it has been worn a lot. Product: I bought them for my daughter, I know I got them on sale but it meant I could more for my money. And she loves them and they fit good.